Connecting with partners in developing countries is often an eye-opening and impactful experience for U.S. students, but what is it like for their global partners on the other end of the collaboration? 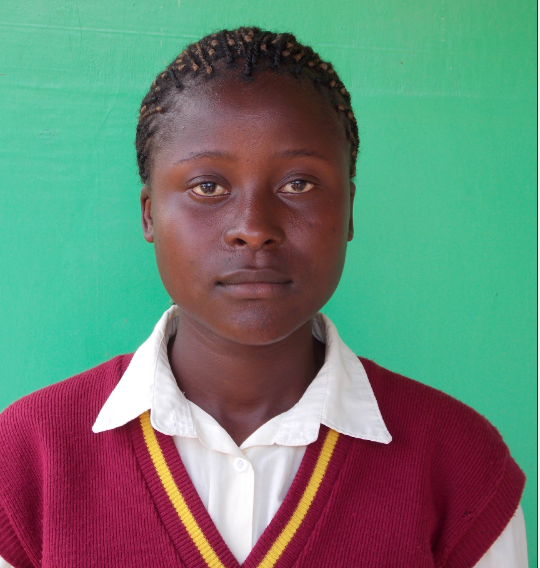 Four students from rural Kenya wrote to us about their daily experiences with electricity, water, life at school, and how they have been inspired by their Level Up Village courses at Kenya Connect. 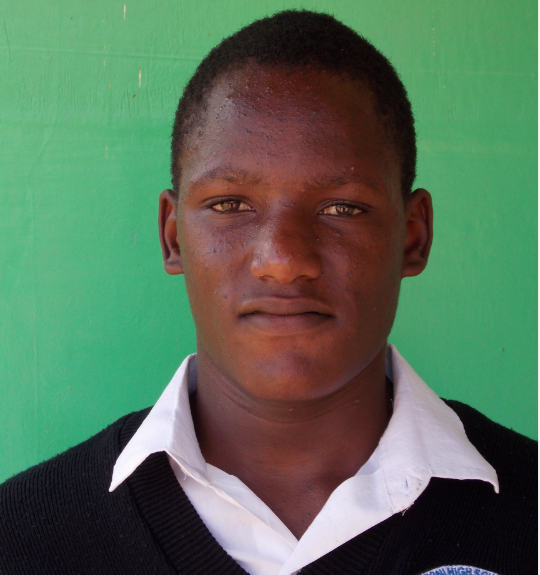 My school is Mwaasua Secondary School. I live in Mwaasua Village, one and a half kilometres from our school. We have no electricity or running water in our home. At home, we fetch water from the nearby river or at nearby boreholes. We use kerosene lamps when it is dark at home. We don’t have electricity in our school and we do not have running water because our school is located in a rural area where there is a scarcity of water. This girl, who takes technology courses at Kenya Connect, fills up her jug with water to carry back to her home. What I like about Kenya Connect Learning Resource Center is the teaching I get to improve both my written and my spoken English. In my Level Up Village course, I learnt that my partner in the US goes to school every day and takes the same subjects we learn in Kenya. I learnt that in the U.S. there is a holiday called Martin Luther King Day, which is not found in Kenya. I also learnt and experienced how to Skype. This activity made me happy because it has enabled me to improve my spoken English. The most interesting thing is that US students do not fear speaking in public with students from another country. This interested me because I was nervous about it. When I communicated with a person from another country, I exchanged ideas with the other students and I learnt more about the US. After this experience, I would like to be a doctor which I am working hard towards achieving. This is because by that time I will be able to speak fluent English and help more people who are suffering. I come from the village of Mwaasua. My father is a farmer and I have one younger sister. At my home, there is no running water or electricity but we get water from a nearby dam and we use kerosene lamps for light at night. My school has no access to electricity and we don’t have running water, so the school is forced to buy water for the smooth running of the school. I am currently engaged with the English Access Microscholarship Programme, and I have undertaken the Level Up Village Global Conversations (The Giver) course at the Kenya Connect Learning Resource Center, My U.S. partner is called Prathit and he was in Connecticut. I have had the chance to learn some important things like public speaking. I have learned how to express myself without training so much. This course has also helped me develop a reading culture within myself. It is really enjoyable to communicate with the American Level Up Village students because I feel that the world is a global village. I would tell the other children that the Kenya Connect Learning Resource Center is really a nice place to be because children get to connect. This experience has inspired me to be a good writer and a fluent speaker in life. 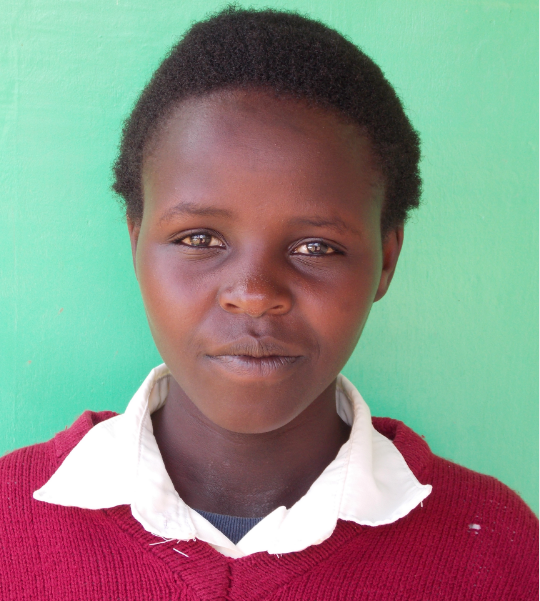 I am a student at the Mbaikini School and I live in Wamunyu, a market in the South of Nairobi, the capital city of Kenya with my father and my sibling. My father is a businessman as well as a farmer. At home, since we don’t have electricity or running water, we use a solar panel which charges a battery to light the house. We also have a dam which provides us with water. Water is pumped from the dam to tanks at home using a generator. Because we have no computers back in our school, my time to interact with them is limited. Going to Kenya Connect Learning Resource Center is interesting to me because because we interact with the computers freely there. The Level Up Village course that I have taken is reading The Giver. The interesting thing that happened during my course is how people united to do work and help one another. 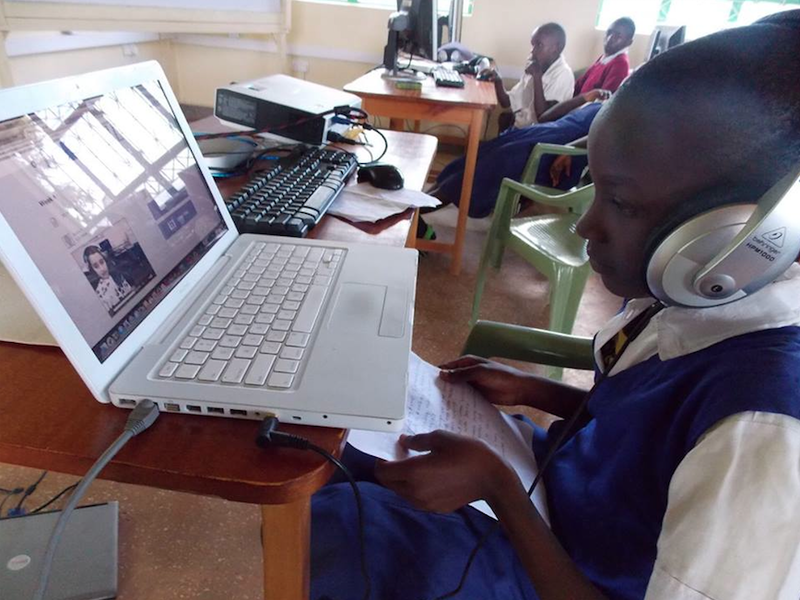 Students at Kenya Connect communicate with U.S. partners in their Level Up Village courses by sending and receiving video letters. To communicate and collaborate with someone in another country is wonderful. This is because it is rare for one to communicate to someone who is not a relative from another country. What I would tell other children from my village about this experience is to study hard so as to travel to these countries themselves where most people think it is somehow difficult to go and travel. This experience has inspired a lot in my future. I have a dream to visit the United States. Communicating and collaborating with my partner was not enough. I have to fulfill my dream, which is to visit the US myself. 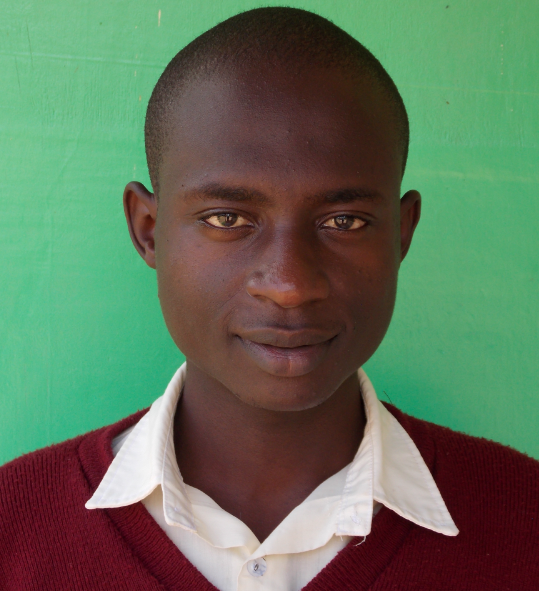 I am a student at Mwaasua Secondary School. My mother is a farmer and my father works at Nairobi. In our home we don’t have electricity, so after dark we light a paraffin lamp. There is no running water so we get water from the river or we buy from public water taps. Digging in the farm and fetching water are my favorite activities I always do when I am at home. Our home from the school is about a half kilometre. In my school there is also no electricity because it is a day school. The things done by way of electricity, e.g. printing exams, are done at the market. Also in school, there is no running water so the water that is used for drinking and cooking is bought and brought to school by way of ox pulling a cart every morning, and sometimes the water may be brought late so there is a problem with water in our school and also in the village. I have taken almost about four Level Up Village courses and I have learnt much about it. My partner lives at US and he goes to school to learn every day and took some similar subjects like what I do. He also doesn’t wear school uniform while going to school. My difference with him is that I wear school uniform and I go to school earlier than him. My leisure time I spend reading storybooks but he doesn’t spend his reading storybooks. After the Level Up Village course, people dance and enjoy drinking porridge. Students in rural Kenya take Level Up Village courses at the Kenya Connect Learning Resource Center, the only facility with computers available for their use within 100 km. 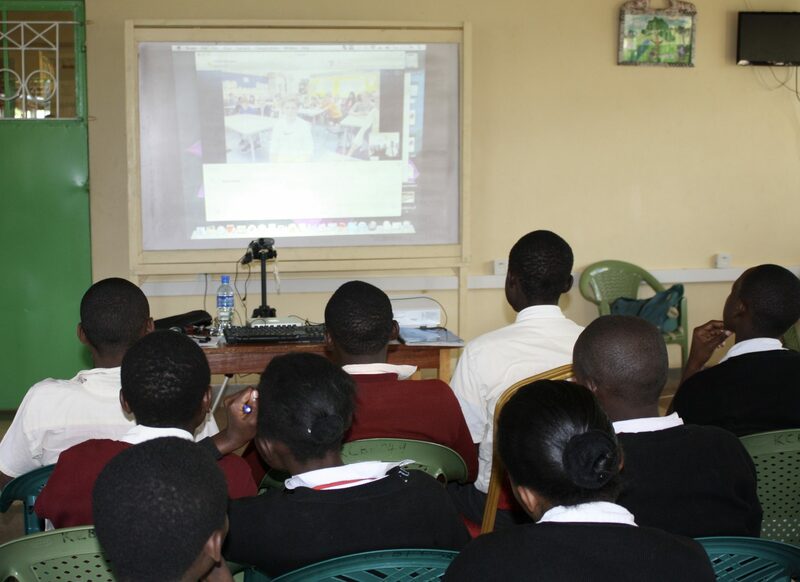 Here, students participate in a live Skype with partner students at Eastern Middle School in Greenwich, Connecticut. In this Level Up Village course, they read and discussed Lois Lowry’s book The Giver with U.S. partners, exploring topics including their definition of a Utopia, the role of government, discrimination and more. See more about their discussions in this blog article.